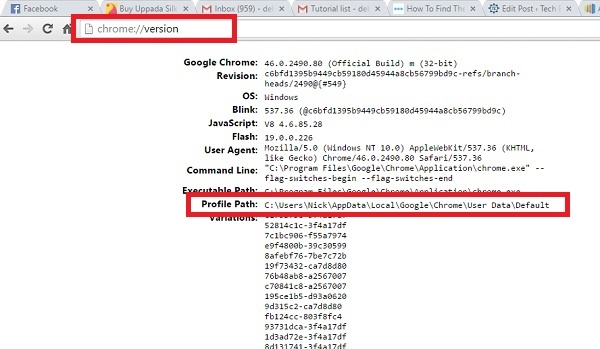 Google Chrome facilitates its users to create multiple profiles and these profiles store the login sessions, bookmarks, saved passwords etc for individual users. The Profile information are saved in your computer. Every Profile has a name stored which is not your name or any name set by you. But it is something like Profile 1, Profile 2, Profile 3 etc. If there is only one Profile that is being used in the computer then it will read Default. 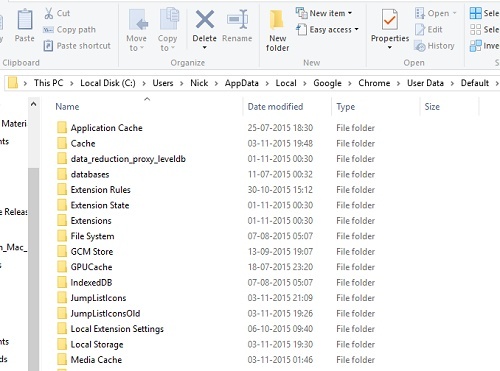 How can you find out your User folder of your Chrome Profile? The answer is very simple. 1. In your Google Chrome search bar or Omnibar, type chrome://version and hit Enter. Check the Profile Path. The name at the last is your Profile. It could be Profile 1, Profile 2 etc. But here it is Default since there is only one Chrome profile in my computer. Copy this path and save it for future use. 3. Next time when you want to access your Chrome User profile data, just open you WUndows Explorer and paste the Profile Path in the Address bar.